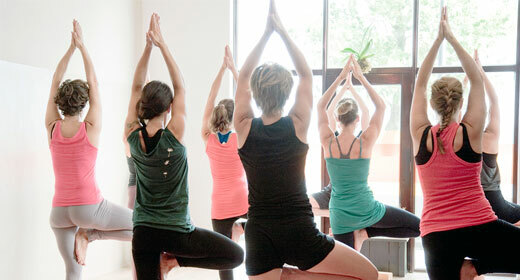 Thrive Yoga offers personal Yoga and Pilates classes in small groups with attention to each participant. Feel right at home and welcome in our three atmospheric yoga studios in Amsterdam East at Zeeburg and IJburg and in the Indian neighborhood. Thrive distinguishes itself by the attention we can offer in small groups. Get clues, assists and personal tips to get the most out of your yoga or pilates lesson. Get to know our team of teachers and follow the lessons that are right for you. We give authentic Yoga and Pilates in an accessible way, for all levels, everyone is welcome! Each lesson is unique, with attention to attitude, breath, meditation, a weekly alternate anatomical focus and a month theme from Yoga Philosophy. Choose from dynamic Vinyasa flow Yoga and Jivamukti Yoga or deep-relaxing Yin Yoga , Pilates-based Pilates or a combination, everything is possible, you can even come flying in the Aerial Yoga at Zeeburg.